Where's that?? 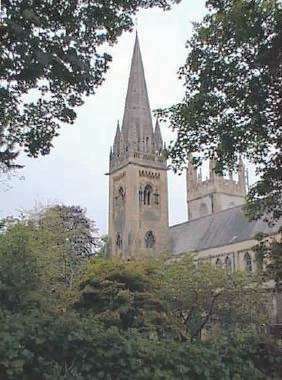 - locate Llandaff on a map of Wales. 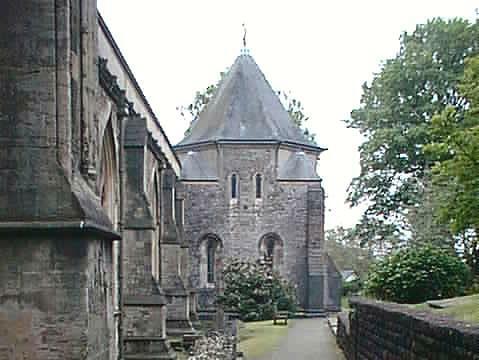 The cathedral at Llandaff, now part of the City of Cardiff, has a history going back 1,400 years. interior views, shown on a supplementary page. Additionally, you can study an annotated plan of the cathedral. 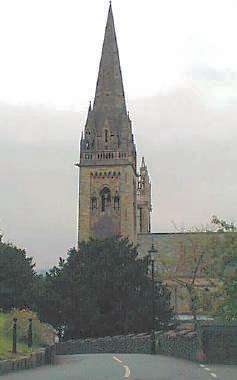 Right: The Pritchard spire (centre) and Jasper tower (to the right), viewed from the south. 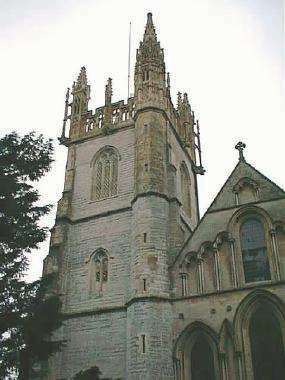 built by John Pritchard in the 1860s to replace an earlier tower which collapsed in 1722. Jasper Tudor (c. 1431-1495), uncle of King Henry VII. Above: The west front of the cathedral, dating from circa 1220. The base of the Jasper Tower is on the extreme left of the picture. 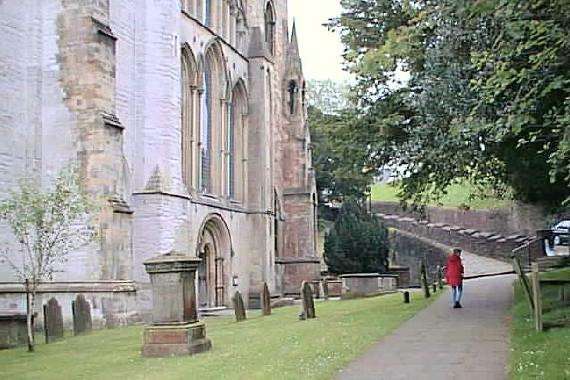 Above: The 13th century Chapter House, on the south aspect of the cathedral. 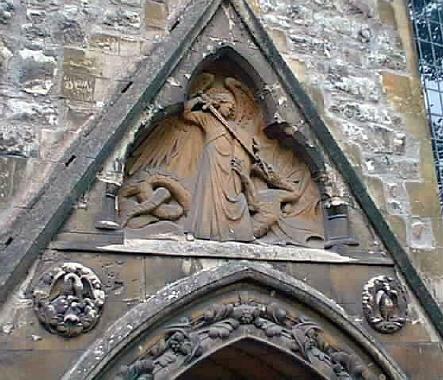 Above left: A detail above the entrance to the Teilo Chapel, on the south side of the cathedral. 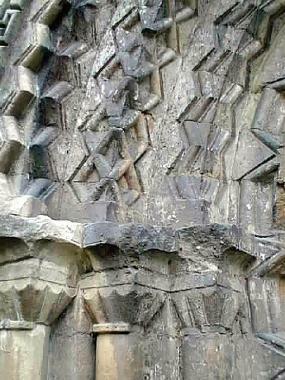 Above right: Details above the base of the Pritchard Tower. 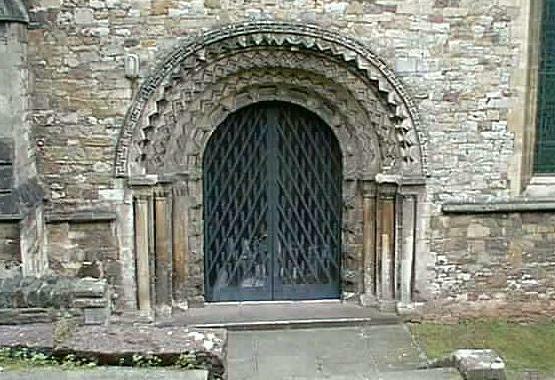 Above: The South Door, dating from circa 1170.
century AD, one of the three Celtic saints to whom the cathedral was originally dedicated. 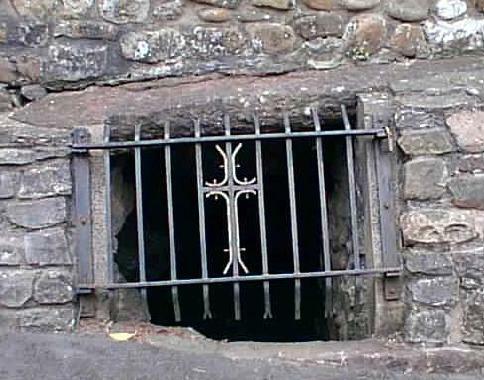 The other Celtic saints were St Dyfrig and St Euddogwy. Now let's explore inside the cathedral.